Caring for someone with Alzheimer’s or dementia is a non-stop challenge. For physical and mental health, caregivers need the ability to take regular breaks, which can mean hiring help. 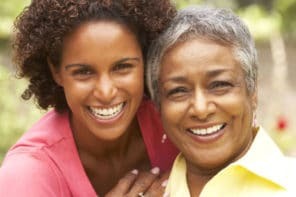 Caring.com discusses top reasons why caregivers don’t hire in-home help, shares 6 benefits of in-home care for someone with dementia, and recommends ways to take small steps toward getting help at home. Though the article sometimes refers to caring for aging parents, this helpful advice can apply to any caregiving relationship. Caring for a loved with dementia comes with enormous physical and emotional challenges. Yet, Caring.com’s 2017 Family Caregiver Journey Survey showed that just one in four family caregivers (26%) who are providing care for a loved one with dementia hire professional help. That means that three out of four are doing the best they can without the benefit of paid help. The work of informal caregiving isn’t without cost or value. In fact, family caregiving for older adults is estimated to cost $234 billion annually, according to a 2016 report by the National Academy of Sciences. Included in that estimate are the 8.5 million caregivers who are helping nearly 5 million older adults with dementia complete two or more self-care needs each day, such as bathing, dressing, eating, toileting or getting in and out of bed. The problem is that many of those costs are hidden, while hiring professional help requires paying out of pocket. What follows are some of the most common reasons families choose not to hire professional help to care for their aging parent. “Money is always a concern. Around here, [a health aide] is about between $23 and $25 hour, and it’s generally a three hour minimum. Many people don’t really need three hours to get help with giving a love one a shower, or to let you go out,” points out Lynnette Whiteman, executive director of Caregiver Volunteers, a nonprofit that coordinates volunteers to provide respite to dementia caregivers in New Jersey’s Ocean and Monmouth counties. “Often, you have to supervise people you bring in,” points out Laura Gitlin, director of the Center for Innovative Care in Aging at Johns Hopkins University. Gitlin is a member of the Committee on Family Caregiving for Older Adults with the National Institutes on Aging. For some people, hiring help might feel like more work, because they may not know how to find qualified help, they don’t want the bother of supervising the work, and even when they do bring someone in, their aging parent might be so upset that they carry that stress and agitation into the rest of the day, says Whiteman. “Often, people don’t want anyone in their home,” says Gitlin. Caregivers might worry that a professional will see only what they are doing wrong. Additionally, they might be protecting their loved one’s modesty with respect to bathing and toileting. Caring for an aging parent and negotiating all of these barriers likely takes a team – and that means you’ll face some conflict. Maybe you and your adult siblings disagree over when or how to pay for in-home care, or perhaps your aging parent has “fired” every care provider you’ve found. These may be some of the most persistent barriers to hiring in-home help. However, it’s worth your while to work your way through those conflicts. 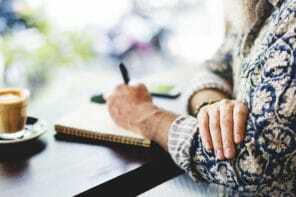 “You can save 40 to 50 percent of the cost of long-term care by deferring entry into residential care,” points out Janet LeClair, chief operating officer of The Ivey, a memory wellness day center in Charlotte, North Carolina. Hiring professional care to come into your home, or placing your loved one in a day program for adults, can both help delay the need for them to move to a facility, she says. “There’s definitely evidence that home visits can help our older adults reduce hospitalization and delay placement in residential care,” says Gitlin. There are many ways in which getting in-home help, even one or two days a week, can help delay the need to move your loved one into a care facility. Perhaps most importantly, expert help can reduce caregiver burnout and also amp up the quality of care at home. Let’s face it, caregivers love their aging relatives and do their best to care for them, but the vast majority are not trained to provide expert-level care. The National Academy of Sciences’ 2016 report on family caregiving highlights that aging adults with dementia are at risk of missing out on needed medical care, going more often to the emergency room or hospitals, and may at higher risk for abuse and neglect when caregivers lack the support they need, including paid in-home care. Some of the signs that you need either in-home help or an adult day program include becoming more irritable with your loved one, feeling persistently sad or hopeless, or feeling like you can’t ever do the things you once enjoyed or see friends. Finding the right balance with paid in-home care means you can breathe easier. A lot of family caregivers are getting older themselves, points out Whiteman. Meanwhile, many caregiving tasks, such as helping an aging parent in and out of a shower or tub, are physically demanding. “It’s such a fall risk,” says Whiteman. And, she says, if you fall and end up in the hospital, your aging loved one with dementia will likely be placed in a residential facility. So it’s even more essential to take care of yourself. “We recommend getting paid professional help when we see the caregiver get sick themselves,” says Whiteman. “The time to hire a paid professional is not when it’s an emergency situation. I would say, bring someone in earlier rather than later,” says Whiteman. If you’re still not convinced, try taking these small steps towards getting paid professional help. Contact your local Alzheimer’s Association or your county Office on Aging. Learn about resources in your community, in case you need them. Invite a volunteer in. Whiteman, whose mother has Alzheimer’s disease, strongly recommends trying out a volunteer in the home. “We had somebody come in just one day a week, to sit with her or make her lunch, just to get her used to somebody coming in,” she says. Since these volunteers often have experience with people with dementia, they also can provide you with insights into what your loved one might need. Consult with a geriatric care manager or social worker. “If you have the financial means, get a consultation with a geriatric social worker who can assess your situation and get an idea of your options,” recommends Gitlin. These individuals are typically paid by the hour, but could provide valuable insight into what next steps can help your family. Talk to your doctor. “When is the last time a physician said, ‘Look, what are you considering in terms of living arrangements? What about a home health aide?’” asks Gitlin. Your primary care physician might not bring it up, but you can and should try to talk to them about it anyway, especially if you’re struggling at home. Try a day program. An adult day care program for people with dementia can give your aging parent a chance to socialize and be involved in appropriate activities while you also get a break. This is a solid alternative to having people come into your home, if you’re not ready for that step. LeClair points out that programs designed for people with dementia can help them connect socially and stay engaged at their level – and often also have support groups or other events for caregivers.